WILLEMSTAD - In a press release, the three public companies Curoil, Aqualectra and Curaçao Refinery indicated that because the management of the oil refinery cannot guarantee that they can meet the obligation to supply fuel, they have decided to go to court. 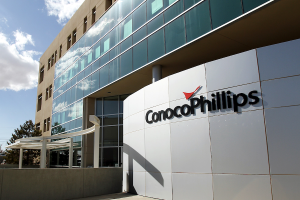 The lawsuit against ConocoPhillips will be filed today. According to the three companies, ConocoPhillips' third-party attachment on PdVSA's assets puts the country's interests in jeopardy. Aqualectra needs fuel for the production of electricity and water. The government indicated in a recent press conference that there is an emergency plan, but they want to have a judgment about the duration of the current situation through the court of justice. The seizure is disproportionate for Curaçao. It has very big consequences for the country, and, according to the three companies, they must keep the island's interests in mind. The refinery is not operating due to the seizure. The Isla is willing to meet the obligations but wants to be paid for the delivery of products, but that is not possible due to the seizure.